The ruling planet of each zodiac sign is the archetype, or original pattern, for knowing its meaning. These are the players in the cosmic drama expressed through the zodiac signs. Planets are wanderers of the symbolic sky, with mythical stories or atmospheres of associations. 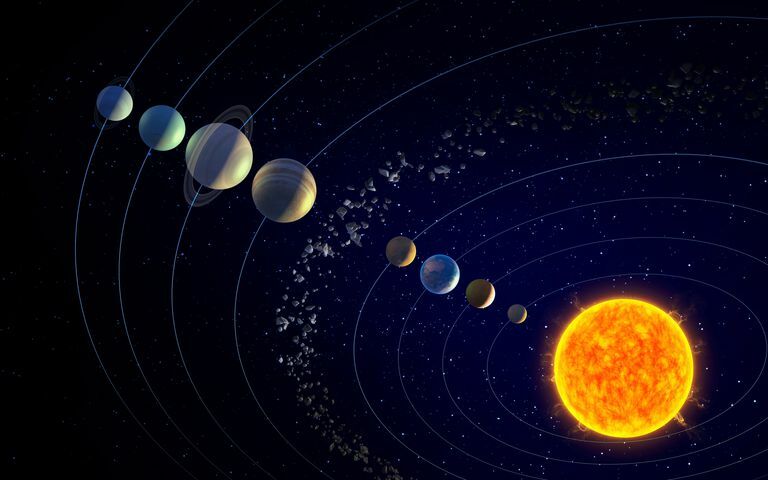 To know your zodiac sign for any planet in your birth chart, you must know its ruling planet. Based on observations of qualities and "energies" of planets and zodiac signs, early astrologers started to match them up. Some are unchanged since the earliest days of astrology, while other pairings were made after the discovery of Uranus (1781), Neptune (1846), and Pluto (1930). The discovery of Chiron (1977), which is considered a comet and a dwarf planet, and Pluto's demotion to dwarf (2006) may alter these associations over time. What Does 'Ruler' of a Sign Mean? These associations, first made by the Greeks, are based on the seasons, not attributes of the zodiac signs. However, they've become a muse in the symbolic language of astrology. They are a cosmic archive to use when interpreting a chart. For example, if someone has a constellation of planets in Pisces, look for a Neptune-themed narrative in the person's life story. The pairings were originally made with Saturn at the outer edge. When Uranus, Pluto, and Neptune were discovered, astrologers made changes, with new match-ups, while keeping the "classical" rulers. Chiron has been linked to Virgo, a sign of purification and health. Even so, Mercury (its classical ruler) still looms large for Virgo. Which Planet Rules Your Sun Sign? The planetary ruler of your Sun sign is important. Its myths and attributes tell you a lot about yourself. For example, if your Sun is Sagittarius, your Sun's planetary ruler is Jupiter. You radiate expansively and faithfully, just as Jupiter is a guide to lucky breaks. The house where your Sun sign falls is the life area in which you expand. The planetary ruler of your Sun's house position is like the host, which directs that Jupiter-ruled quest toward a life theme or lesson. There's a planetary ruler of the zodiac signs and the houses, an intuitive synthesis key to “getting” astrology. Planets in their own signs, like Moon in Cancer, are said to be dignified, a placement of strength. Yet a Cancer Moon may sit in the second house, the natural house of Taurus, ruled by Venus. This charting tells us that the Cancer Moon will seek to nurture via the senses and knead love into the dough. There's also a strong instinct for creating material and emotional stability.